In today’s online world Facebook is king. As a content creator I always have to keep Facebook’s quirks and idiosyncrasies in mind whenever I’m crafting one of my blog posts. Its popularity and ubiquity can not be ignored. However I think I speak for many content creators when I say if you like something that we’ve created and want to comment on it DON’T JUST LEAVE A COMMENT ON FACEBOOK. A lot of us have websites, or YouTube Channels or what have you where we’ve poured out heart and souls into our creations only to have people only comment about it on Facebook and not where are creation lies. I get it. Everyone you know is on Facebook and that’s fine however there is no rule that says you can’t leave Facebook every once in a while. 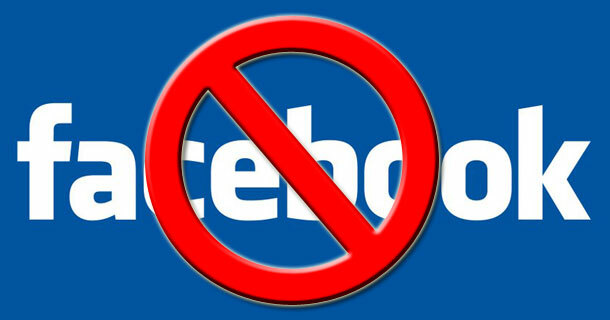 A lot of my posts have had some great discussions on Facebook but on the website it looks like no one cares and do to the fickle way that Facebook likes to close accounts those discussions could be lost forever. Not to mention that Facebook may not be around forever, just look at MySpace and Facebook is only one sparkly animated gif background away from becoming MySpace. It’s ok to leave Facebook every once in a while. After all isn’t a walled garden just a pretty prison?